A 50-50 blend of Grenache and Syrah from biodynamically and organically farmed vines more than a quarter century old and rooted in clay and limestone. At 410 metres elevation, the vineyard is the highest and one of the coolest in the southern Rhône. Manually harvested. Partially destemmed. Fermented with indigenous yeasts and “Burgundy-style” punch-downs in temperature-controlled stainless steel tanks. Pneumatically pressed. Matured in stainless steel tanks (70%) and used barrels (30%). To minimize handling by machines, the winery is gravity-fed. 14.5% ABV. Quebec agent: Vinealis. A blend of Grenache (80%) and Cinsault (20%) from biodynamically and organically farmed, 32-year-old vines rooted in limestone and clay. Twenty percent of the grapes are left in whole clusters, the rest destemmed but uncrushed. Given three days’ maceration before fermentation in stainless steel tanks with indigenous yeasts. Basket pressed after 21 days on the skins. Matured on the fine lees in stainless steel tanks for nine months. Unfined and lightly filtered. Sulphur use is minimal. 14.5% ABV. Quebec agent: Vinealis. 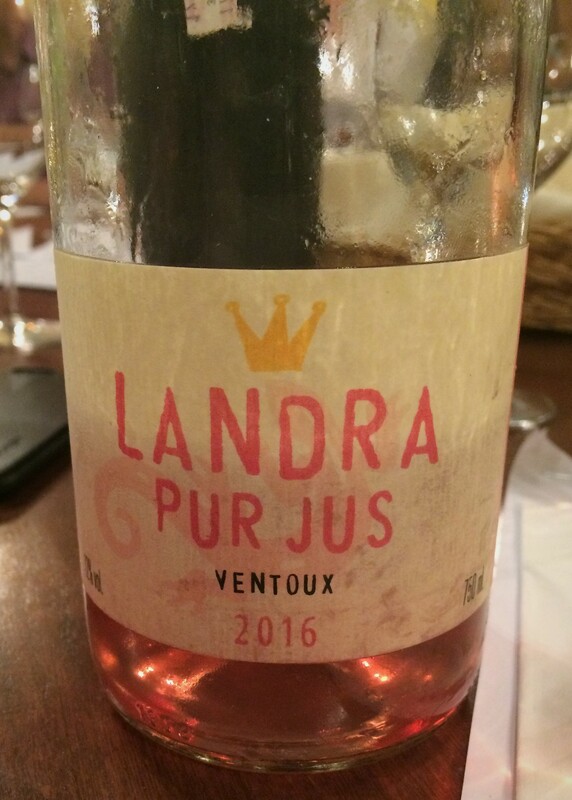 A 60-40 blend of Grenache and Syrah from 10- to 45-year-old organically farmed vines at the foot of the Dentelles de Montmirail. Manually harvested. Fermented with indigenous yeasts. Matured 12 months, half in tronconic tanks, half in concrete tanks 14.5% ABV. Quebec agent: Vinealis. The grapes are grown by the estate’s owner but vinified, bottled and marketed by the small Vignerons d’Estézargues cooperative. 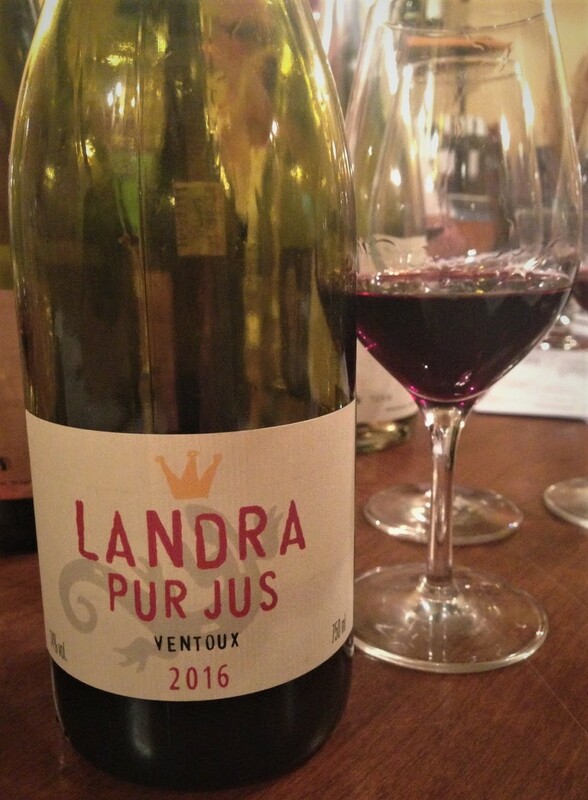 This blend of Grenache (70%), Syrah (20%) and Carignan and Mourvèdre (together 10%) comes from vines grown in clay soil with the smooth stones typical of the former Rhône riverbed. Practices in the vineyard are semi-organic, with chemicals being used only as a last resort. The vines are gobelet-trained and the grapes are picked by hand, destemmed, lightly crushed, fermented at low temperatures and given a long (three to four weeks) maceration. After pressing, the wine is transferred to large barrels for maturation. No additives, including yeasts, except a small amount of sulphur at bottling. Unfiltered and unfined. Reducing sugar: 2.7 g/l. 14.5% ABV. Quebec agent: Rézin. Syrah (60%) and Grenache (30%) and Cinsualt (10%) from 45-year-old vines rooted in gravelly alluvial deposits with lots of smooth pebbles and stones. Destemmed, crushed. Fermented (with indigenous yeasts) and matured in stainless steel. Unfined and probably unfiltered. No added sulphur. 14% ABV. Quebec agent: WINO. WINO’s Martin Landry paid another visit to the Mo’ Wine Group in mid-July, this time bringing a baker’s dozen of private imports that he described as summer-friendly. We added a WINO bottle of our own to the wine-up, making 14 wines in all. 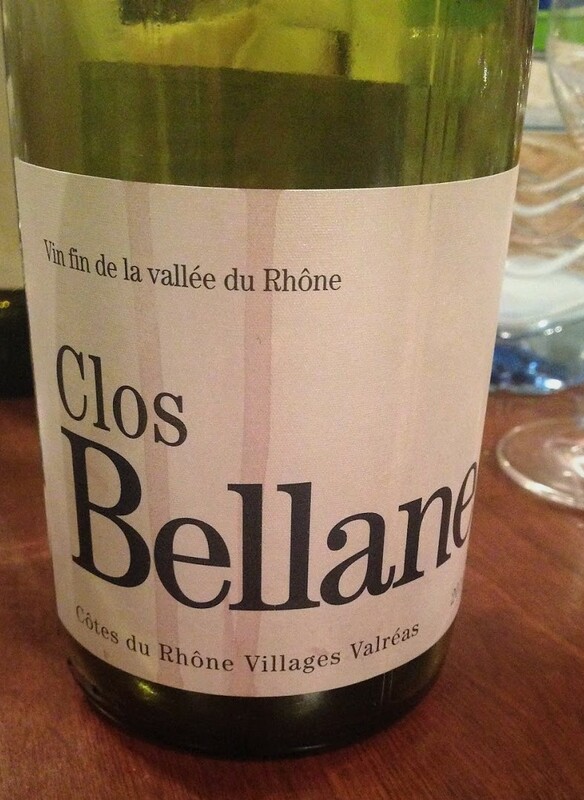 We began with yet another impressive Clairette-based white. 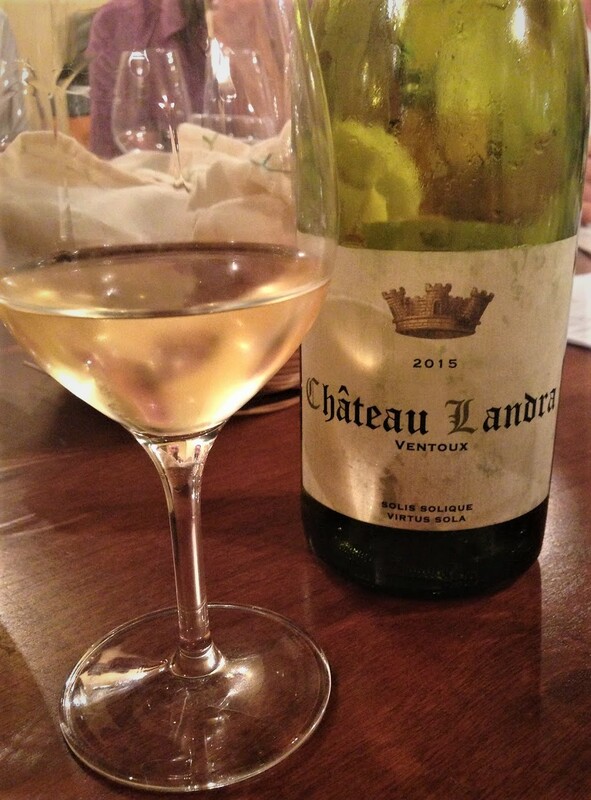 Located at the foot of the Monts de Vaucluse, Château Landra is a 14-hectare estate that can trace its roots back to the late 1700s. The current winery was built between the two world wars, entitling the estate to the château designation and making it the first privately owned winery in the area. The current owners, Cécile and Frédéric Renoux, acquired the semi-abandoned property in 2007 and began restoring it. At present, the wine grape vineyards total 8.5 hectares; table grapes and olives are also grown. This, their flagship white, is a blend of Clairette (40%), Roussanne (30%) and Grenache Blanc (30%) from organically farmed vines averaging 20 years old. Manually harvested. The varieties are vinified (with indigenous yeasts) separately. Half the wine is matured in stainless steel tanks, half on the lees in new barrels with regular stirring for four months. Lightly filtered. No added sulphur. 13.5% ABV. Quebec agent: WINO. 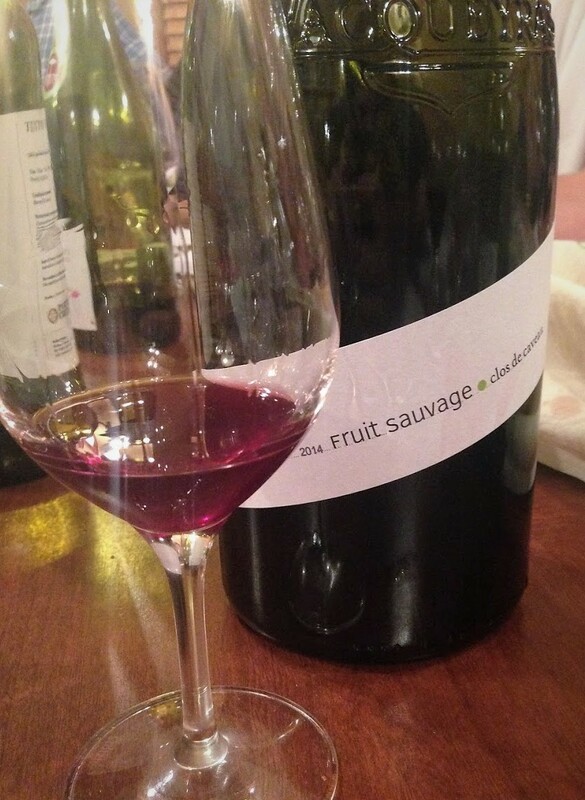 A blend of organically farmed Grenache (normally around 80%), Cabernet Sauvignon and Merlot (some websites, though not the estate’s, claim Cinsault is part of the mix) from organically farmed, 20- to 55-year-old vines rooted in clayey-calcareous soil. Manually harvested. Ninety percent of the grapes are partially destemmed and crushed. Alcoholic fermentation, with indigenous yeasts in temperature-controlled tanks, lasts two to four weeks. Maturation is in cement tanks (80%) and foudres (20%). Unfiltered and unfined. 13.5% ABV. Quebec agent: La QV. Matthieu Barret is the owner-winemaker at Domaine du Coulet. The eponymous SARL is his crittertastic négociant label. This is 100% biodynamically and organically farmed Syrah, the only red grape variety allowed in the appellation. The grapes are destemmed and fermented in concrete vats with indigenous yeasts and pump-overs. The resulting wine is racked, matured for 12 months, then bottled unfiltered and unfined with a tiny amount of pre-bottling sulphur being the only additive used in making the wine. 13% ABV. Quebec agent: La QV. 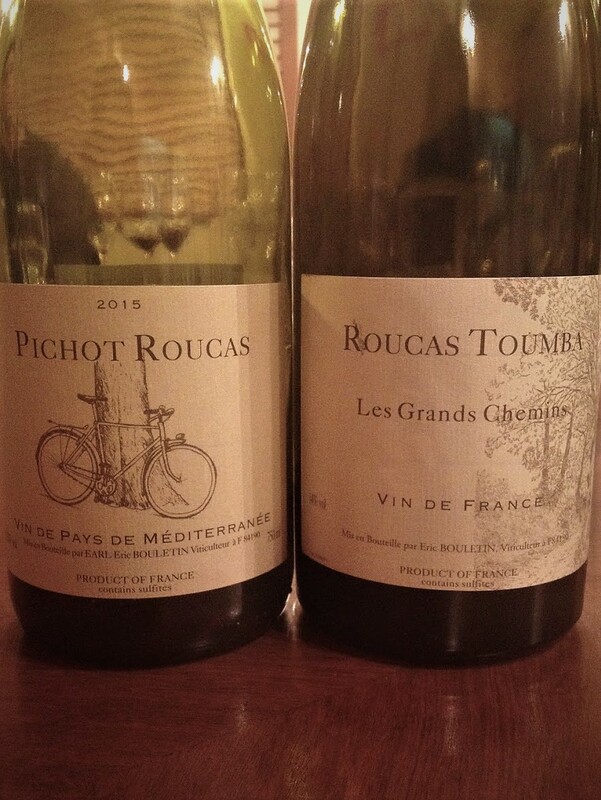 Based in Vacqueyras and comprising 16 hecatres of vines, Roucas Toumba (“roche tombée” or “fallen rock” in the old Provençal dialect) is a centuries-old, family-run estate currently headed by Éric Bouletin. The estate long sold its grapes to the local co-op and the Perrin family of Château de Beaucastel but, in 2006, decided to start making its own wine. The farming is organic though not certified as such. Fermentations, which use indigenous yeasts, typically last 30 days and are temperature-controlled (18°C). The free-run and press wines are kept separate until the end of malolactic fermentation. The wines are never fined and seldom filtered. We tried the estate’s two entry-level reds and now look forward to tasting the higher-end cuvées. 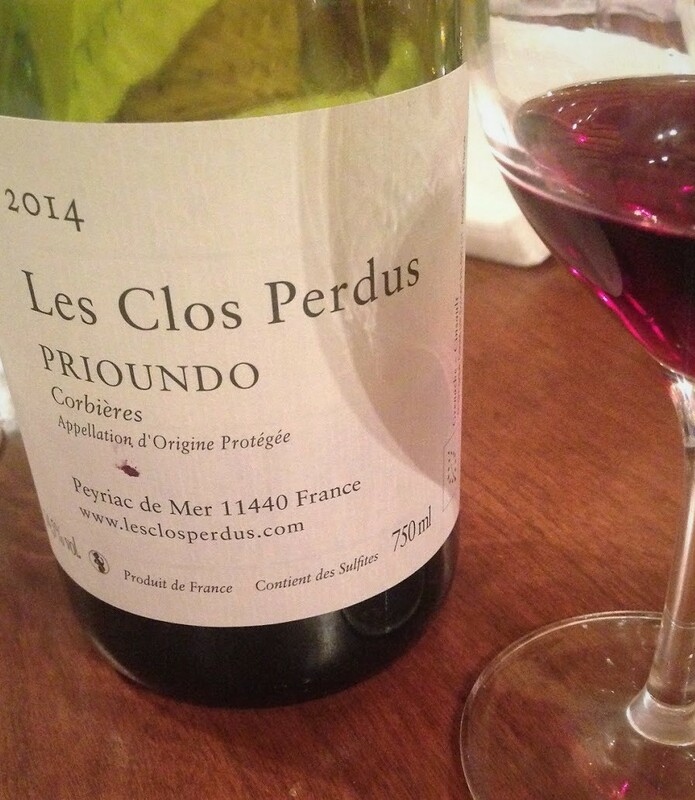 A blend of Syrah (30%), Carignan (30%) and Grenache (30%) from vines located near the Ouvèze river. Manually harvested. The grapes are 70% destemmed with half the Carignan being left in whole clusters. Short maceration. Matured six months in concrete tanks. 13.5% ABV. Typical production: 10,000 bottles. Quebec agent: Ward & associés. 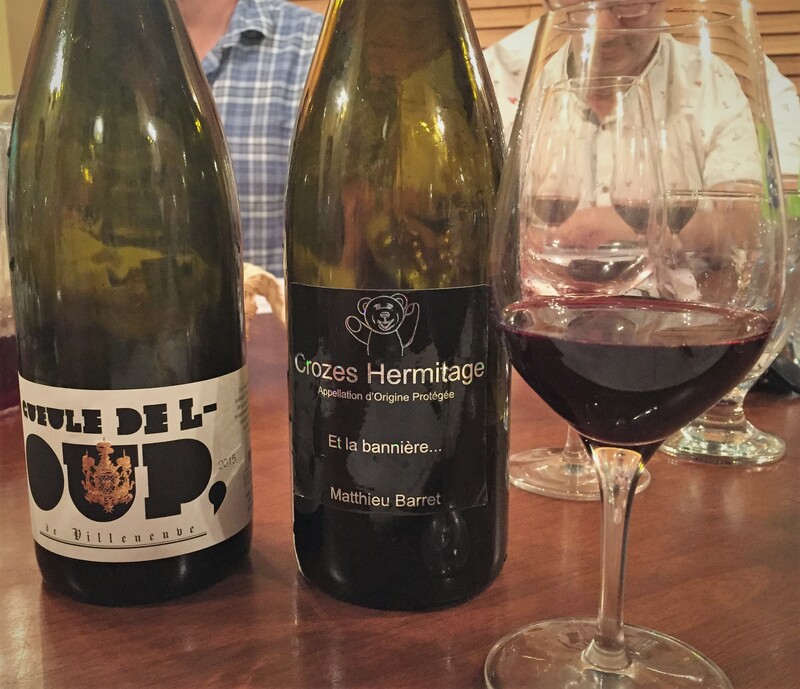 Grenache (50%), old-vine Carignan (40%) and Syrah (10%) from vineyards in and around the Vacqueyras AOC. Manually harvested. The destemmed grapes are co-fermented, meaning the blend is made before fermentation. Matured eight months in concrete vats. 14% ABV. Typical production: 5,000 bottles. Quebec agent: Ward & associés.